We offer five services. Our main service by far is our most commonly requested service. CASp. As licensed Certified Access Specialists, we can inspect your commerical property for accessibility. We will check according to the California Building code and the Americans with Disabilities Act. From this, we will generate a report. You will have certain legal benefits via the state of California should you get sued for these issues in the future.Essentially, being CASp inspected does not mean your site has to be accessible or compliant. A CASp report is only the first step in compliance. 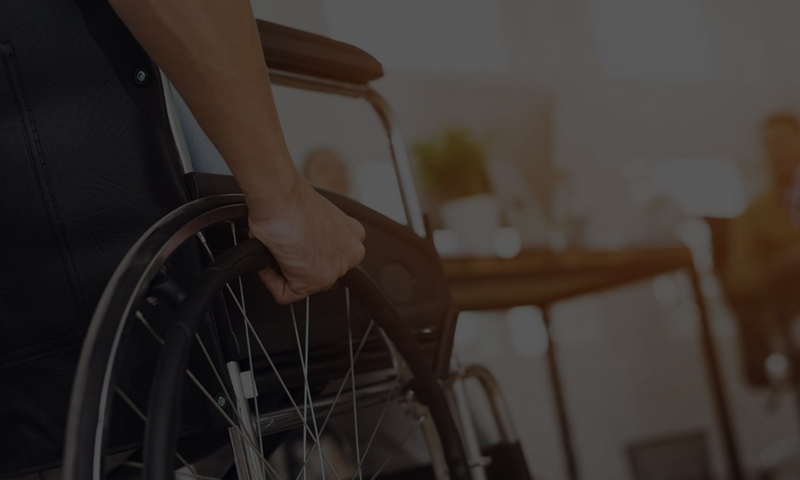 From there you will have to determine what you can fix, what you can’t fix and how you can maximize accessibility to your site.The Americans with Disabilities Act is not building code. It is federal civil rights law that is driven by access to goods and services. If your good or service is offered to the public then it must be offered to everyone equally. Equality is defined under the Americans with Disabilities Act. How you can make things accessible depends on three constraints: physical site constraints, code constraints and monetary constraints. Expert Witness. As an expert witness we will provide an objective assessment on compliance requirements in a court of law. This service is rarely needed. If you are an attorney or you are in a lawsuit, your attorney will determine the strategy and need for this service. Blue Print Plans Review. We can provide an review of blue print plans in regards to accessibility requirements. Consulting. For a fee, we can travel to your site to answer questions about accessibility requirements. This is different from a CASp service in that no report is given and no adherence to the CASp program made. This service is where we can offer an opinion and discussion of accessibility requirements for your site. UFAS. This is the Uniform Federal Access Standards. For property that gets Federal funds, or is owned by the Federal government, many properties would need this particular inspection.